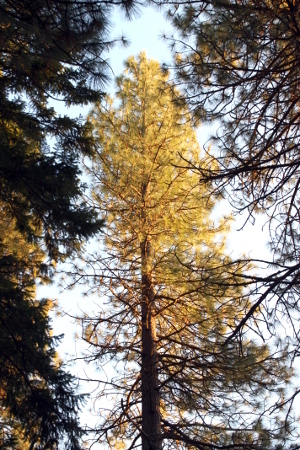 Sunlight bathes a pine in Herland Forest. After several years of planning, fund-raising and development Herland Forest had received word from the Washington State Funeral and Cemetery Board that our Application is completed and we are officially licensed! Herland is now moving out of the initial phase of gathering community support, and can now begin selling plots in the cemetery. If you or someone you know is interested in exploring natural burial options in the Pacific Northwest, we encourage you to contact us. Thank you to all the Guardians and Windward Stewards who have stepped forward to make the dream of Herland Forest Cemetery a reality. One of the most courageous things you can do is identify yourself, know who you are, what you believe in and where you want to go.